DAY 1: My friend Paul Miller has nominated me for this challenge and I was going to go out and shoot especially for it, which I thought was the idea, right? But like everyone else I’m going archival. 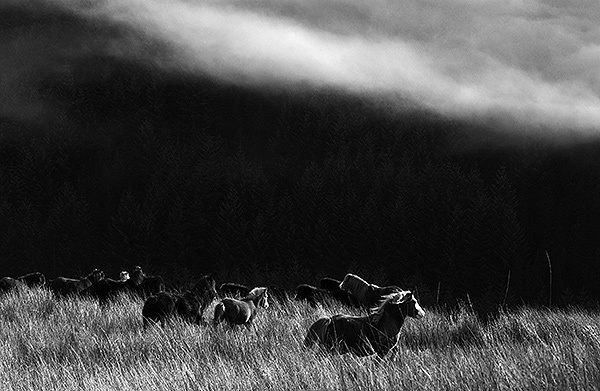 This image was taken as pat of a story I did in 2003 on the future of Welsh Mountain Pony farming. One of the last remaining farmers, Roger Davies, climbed up the mountain near his farm with his quad bike to round up the wild ponies, drive them to his farm, separate the foals and take them to market. I sent a week documenting this annual exercise and saw The Times use the article in their Weekend supplement. I now nominate John Angerson to take up the challenge. DAY 2: I woke this morning wondering what image I was going to upload for the challenge. 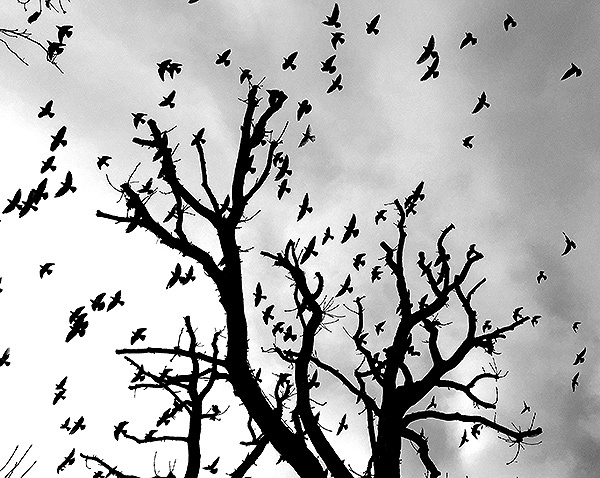 Walking to the bank in my home town of Crouch End, London, UK, I saw this flock of pigeons making a circular flight path past these trees, so I whipped out my iPhone 6 and shot a burst of 5 frames, this is the result. A nice start to the day. Although slightly concerned my two pictures are of wildlife. DAY 3:What a day. Up at 5 and shoots until 9pm. jeez, am bushed. So apologies but I am uploading an archive. I took this picture in 2002 when Paul Miller and I were planning our trip around the world after we left our jobs at the Hong Kong Standard. 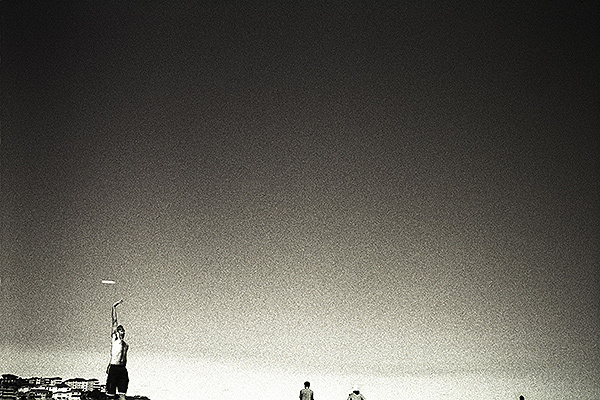 I went with my Leica (I know) to Bondi Beach and captured this shot of a guy playing Frisbee. 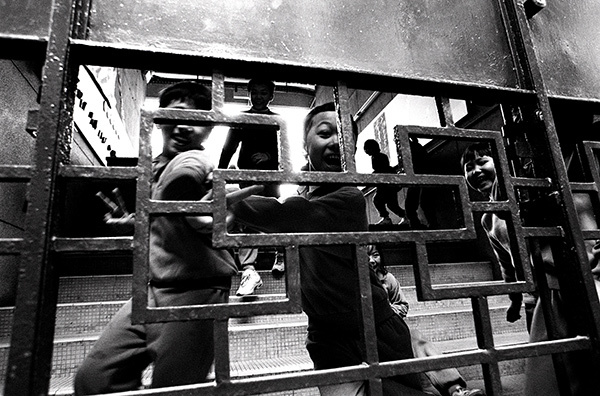 DAY 4; This image was taken in the special administrative region of Macau, China. The former Portuguese colony moved into Chinese ownership in 1999, two years after it’s sister SAR of Hong Kong left the British. The magazine attached to the newspaper I worked for in Hong Kong commissioned me to go to Macau and shoot whatever I wanted, a dream assignment. So I walked around Macau photographing whatever I came across in a day. Whilst walking down a side street I heard a school bell ring close to me and then the inevitable sound of children screaming with excitement. I looked to me left and saw these children running towards my camera and I captured this image. 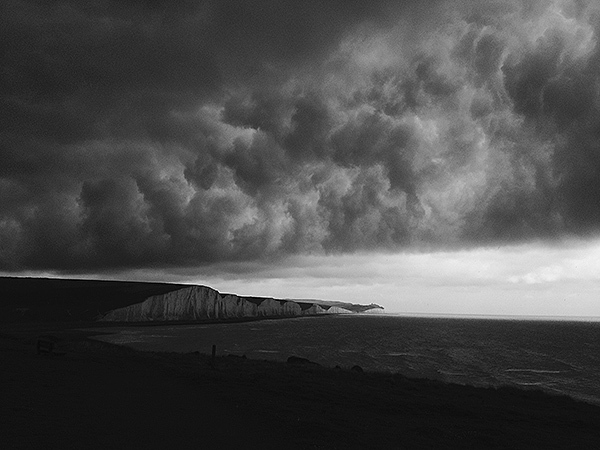 DAY 5: So my last image is of a storm brewing over my favourite coastal walk in England; the Seven Sisters on the East Sussex coast between Brighton and Eastbourne. It also formed part of my recent stag do. The storm passed me and my walking mate Dean Wakeling by without incident but it was a spectacular image taken on my iPhone.